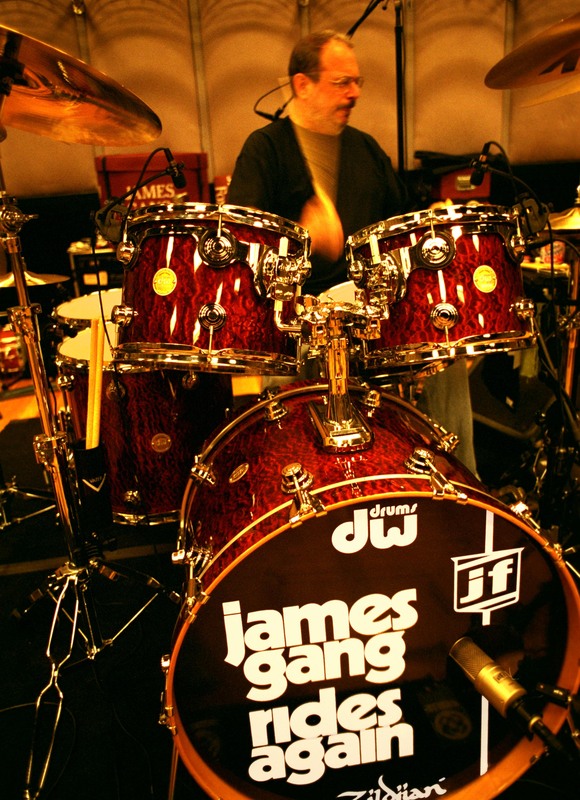 I recently had the opportunity to get some insight on musical education from one of my favorite drummers, Jim Fox, who put his training to work with a couple of his friends in The James Gang. Like many of us, Jim went to school at a time when musical education was a regular part of public school curriculum. He remembers a teacher coming around to the various rooms with an auto-harp who led the kids in song. His love of percussion was primed by a box of tambourines, shakers, claves, and other rudimentary rhythm makers. “My recollection is that everyone participated enthusiastically,” Jim said. In the fourth grade Fox was offered the chance to choose an instrument to study. He went with drums and started out with a pair of sticks and a practice pad. He took advantage of the offer of individualized instruction from a junior high band director who stopped by every week. 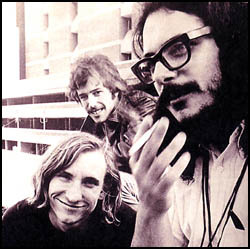 One of my favorite songs from the James Gang Rides Again is the medley called The Bomber. The precision of the drum cadence during the “Bolero” portion made me ask Fox if he was in a marching band. But the story gets even better because Fox started performing in a local rock band and would split right after the half-time show at the football game to gig in a bar in full uniform. Jim made me promise not to mention that he was “way underage” at the time. No problem Mr. Fox. The remainder of this piece will be Jim’s answers to a few questions. Cliff Yankovich: Did you have private instruction as well? 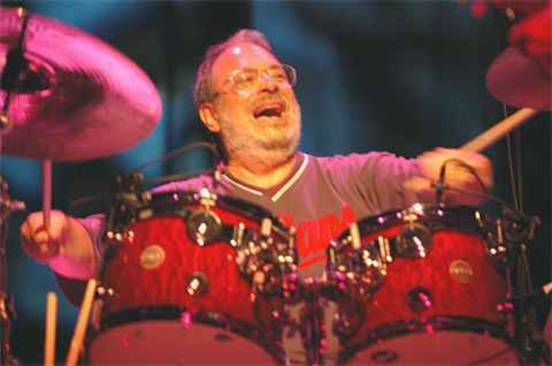 Jim Fox: I started at a rather early age (like 7 or 8), taking music theory classes at the Cleveland Music School Settlement. They were valuable to me because over and above what I actually learned there. I was already aspiring to be a drummer, but my father was dead set against it, preferring that I choose a “musical” instrument. The instructor at the Settlement had seen my ability in that direction and was helpful in convincing my dad to allow me to pursue drums. Along with the instructor at elementary school, my dad checked out the local teaching scene and found a private drum teacher who was involved in both classical music and popular music, as well as the basics of jazz. This was very beneficial to me because it allowed me to receive a rounded education on not only drums, but all percussion instruments, including mallets (marimba, xylophone, etc.) and tympani. CY: Tell me about the positive impact from music education in your life as a musician? JF: In my case, it meant everything!! It gave me the foundation and the confidence to chase music as a career. I majored in music at Ohio State University (ask ME about the marching band culture there! ), the Cleveland Institute of Music and Kent State University. I was 13 quarter hours from a degree in music education when they started shooting…!! By then, my band was beginning to “make some noise” on a national level, and I never looked back. CY: How about the impact in your “other” life? JF: There IS no other life. Despite the fact that I have had a few “jobs” after my main music career ended, music has never left me, and when I look in the mirror, I see a musician regardless of what else I might be doing at the time. CY: On a scale of 1 to 10, how important do you think music ed is to have for ALL students? CY: Any other thoughts to share? JF: Admittedly, I am not a typical story. I was fortunate enough to come from a musical family, where my father was a professional violinist (before I was born), and my mother sang. They guided me gently towards music and once the hook was set, my dad was relentless in seeing that I put in my practice time daily. So, in that sense, I had more of a “boost” than other kids. But regardless of input from home, I believe that every child can benefit from the lessons learned in music for the reasons stated above. Over and above all of this remains the fact that there is beauty in music and we could all use more of that in our lives. Cliff Yankovich is a partner with his wife Julie Claire DeVoe at Chimera Design, a jewelry store in Lowell Michigan since 2002 (www.ChimeraDesign.ws). 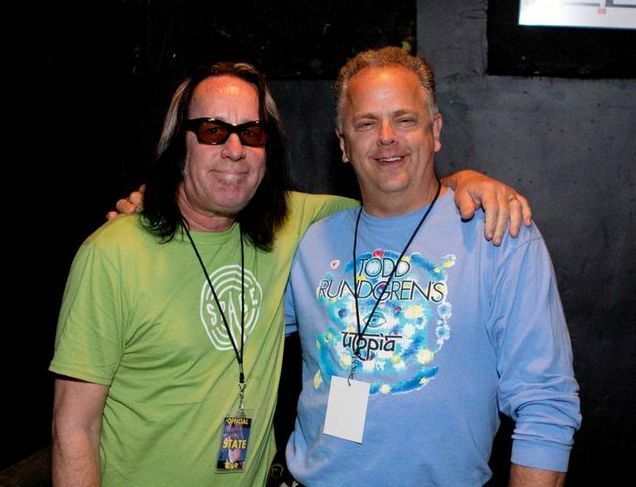 A Todd Rundgren fan since 1972, Cliff is thrilled to be a part of the Spirit of Harmony Foundation. His observations and opinions can be found on his blog: www.cliffsriffs.blogspot.com.